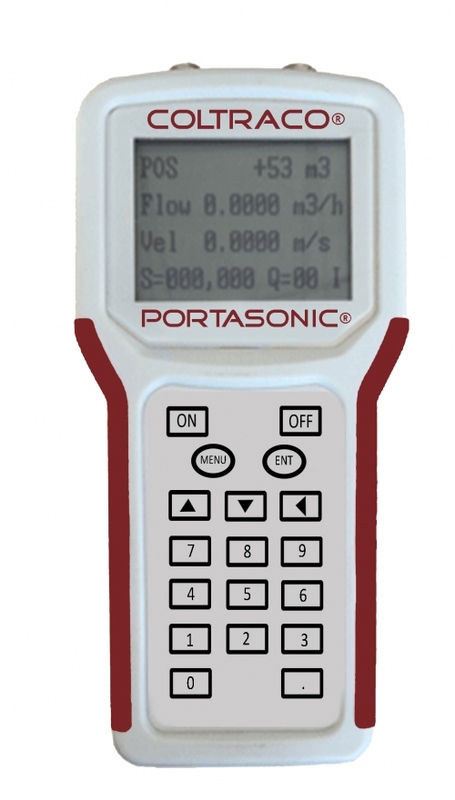 Sprinkler Flow Testing – Why Choose Portasonic® FLOW? For a business and property owner, protecting against potentially catastrophic results of fire such as life loss, property damage and loss of assets is a common challenge. Automatic sprinkler systems are used more than any other fixed fire protection system and over 40 million sprinklers are fitted world-wide each year to deal with this problem. However, if sprinkler systems are not periodically inspected for mechanical deficiencies, proper function, valve actuation, water flow, sprinkler clearances, etc., the system may not be effective during a fire. Corrosion can cause a sprinkler system and fire hydrant systems to fail due to blockages and failed sprinkler heads. NFPA 258 provides required inspection, testing and maintenance for a sprinkler system. One method of flow measurement is wet testing, in which water is sprayed through to prove its compliance, yet this can cause deposits, contamination and blockages. 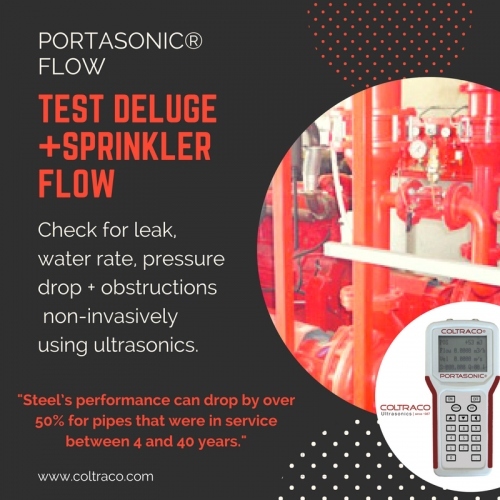 In response to customer demands for a non-invasive, non-contaminating and cost-effective solution, Coltraco developed the portable ultrasonic flow meter: Portasonic®. · Provides accurate flow measurement from outside of the sprinkler pipe. · Easy digital set up makes it both cost and time effective. · Unique clamp-on fixture design – installation is straightforward. · No pressure drop, no moving parts, no leaks and no risks of contamination/corrosion. · Offers 3 different modes of operation so can be used in a variety of different environments. · Ensures full integrity of the sprinkler system through the ability to conduct spot checks at mandated intervals. · Can be used for extended continuous operation as a 4-20mA flow transmitter with AC power input.